I bet all of you knew Ariel Lin 林依晨 well, I'm totally a huge fans of her! I guess there's no celebrity whom shows much purity, cute and naive personality that fascinate me and of course watching 恶作剧之吻 and 我可能不会爱你, her acting skills are damn professional and making a touch in my heart. 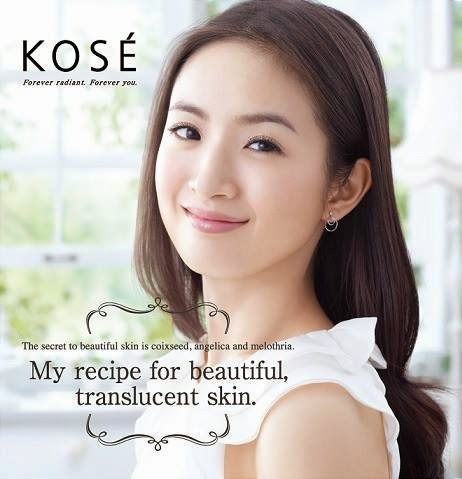 Now, she is renowned as KOSÉ's ambassador with her translucent skin! KOSÉ has valued counseling for that very reason and providing utmost care which adapt to every customers' skin care needs to achieve ideal skin. All these have created enjoyable moment for customers whenever they visit KOSÉ's counter, it's like meeting a friend indeed. KOSÉ’s bestselling skincare and cosmetic brands include SEKKISEI, SEKKISEI SUPREME, SEIKISHO, ESPRIQUE, BEAUTÉ de KOSÉ, INFINITY, ASTALUTION, MOISTURE SKIN REPAIR, JUNKISUI and more. KOSÉ is running few roadshows and workshops recently in conjunction of their newly launched product - KOSÉ Sekkisei Lotion. 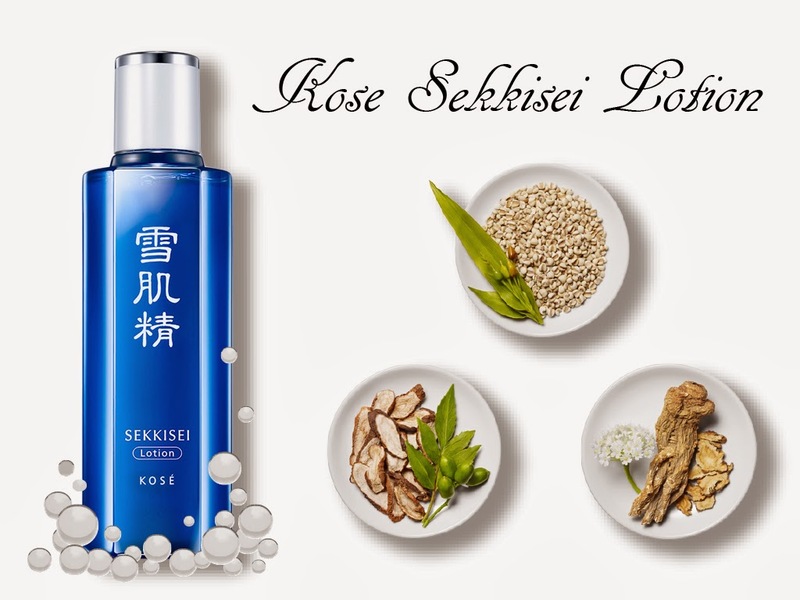 Based on 'beautiful translucent skin recipe'and nearly 100 types of powerful oriental plant extracts, it makes KOSÉ Sekkisei Lotion a lotion that creates fine-textured, hydrated and translucent 'snow-white' skin. Beside creating translucent skin, it balances out skin's moisture level and prevent formation of pimples as well as redness caused by sunburn, leaving us with snowy white, bright and smooth skin. The cloudy white lotion instantly blend into skin like melting snow with fresh and ligh sensation, creating fine-textured silky skin, yet hydrated. Coix seed - extracted from annual plants' seeds from China and Indochina. It has the effects such as increasing metabolism, promote whitening, moisturizing effects and preventing skin roughness. Angelica - extracted from Umbellifer Angelica which usually grows among rocks in mountainous areas. 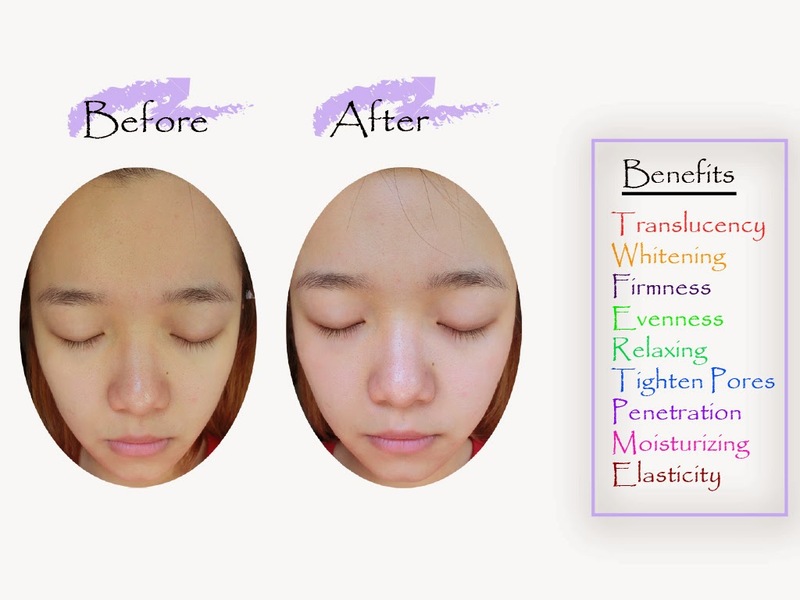 It has disinfectant, whitening and moisturizing effects. Melothria - known as White lotus. The extract is taken from the root and it functions well in suppressing melanin production and promote whitening effect! 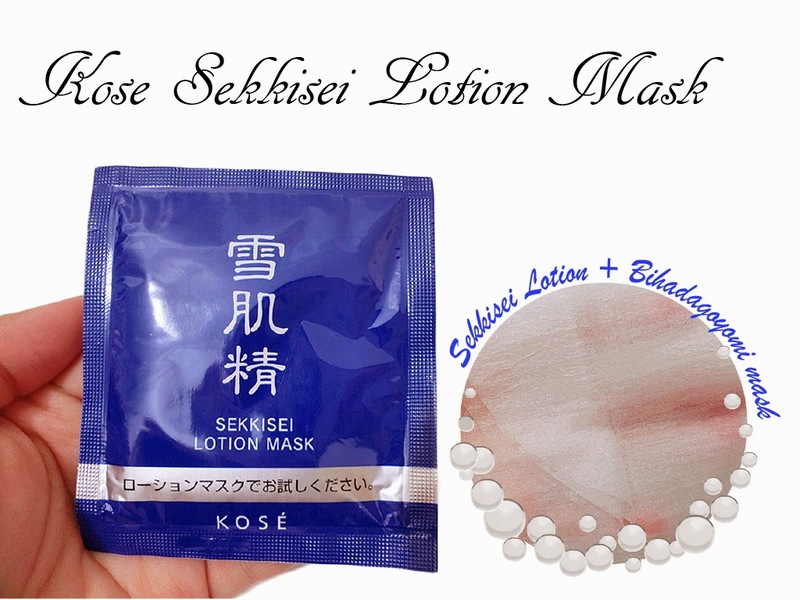 Here's my review on KOSÉ Sekkisei Lotion Mask. It's a combination mask of Sekkisei Lotion and Bihadagoyomi mask as it offers 10 times higher moisture and brightening effects! Lets me explain step by step on how it works. 1. 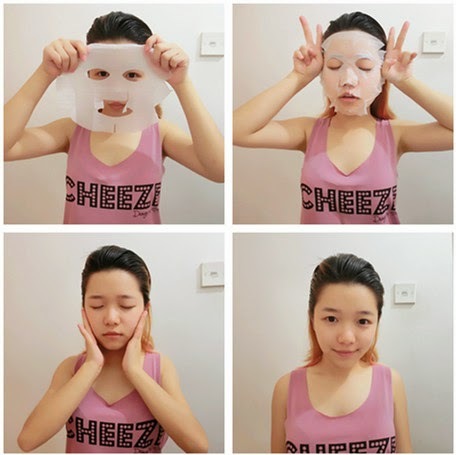 Unfold the mask from the packet. 2. Place it on cleansed face evenly and leave it for 5 to 10 minutes. 3. After that, remove the mask and tap the excess into the skin until it is fully absorbed with no rinsing needed. 4. Finally, I'm done! Lets see the before and after effect below. It's yet to see the firming or tightening effects as I knew that it will take a longer period. But, as you see in the picture, it's so obvious that my face has become fairer and came with much brighter/healthier skin tone! Meanwhile, it's much moisturized and it soothes my red blemishes as well. It's hard to get whitening product with moisturizing effect in the stores and now we have Sekkisei Lotion, the best whitening product! 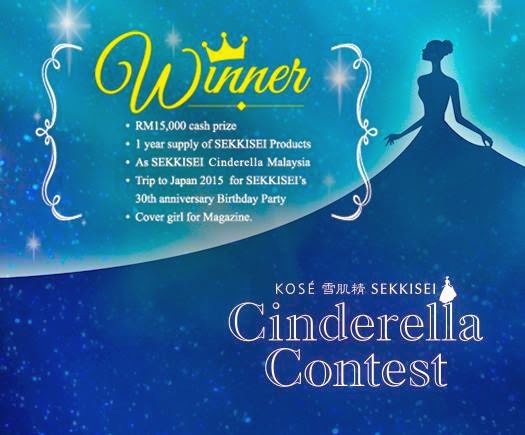 KOSÉ Malaysia Global Cinderella whom representing Malaysia to Japan, meeting all the other Cinderellas around the world! 1. Give a 'like' to KOSÉ Malaysia's FB Page. 4. Submit them via Sekkisei Cinderella Tab. 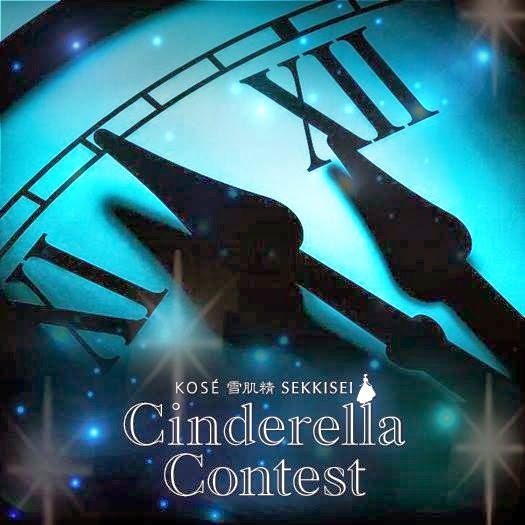 You can be a modern Cinderella too, great prizes awaiting you! 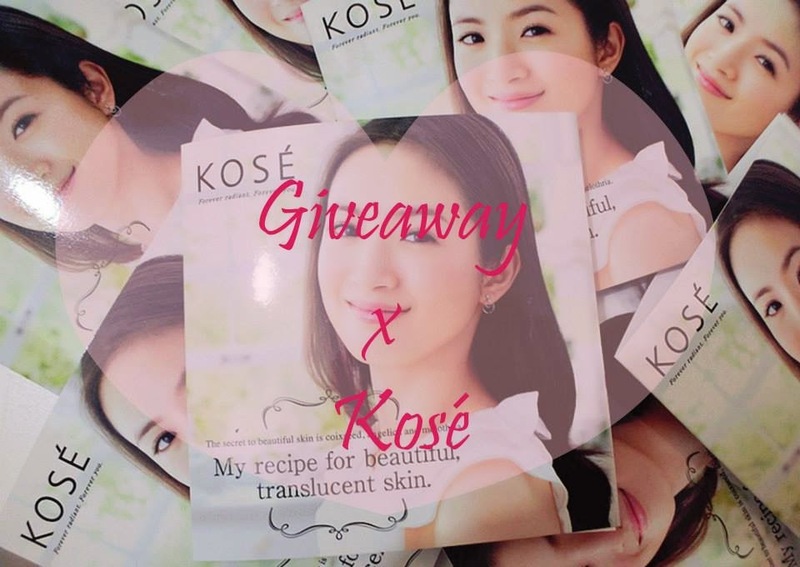 For more products/ contest information and update, please feel free to visit KOSÉ. 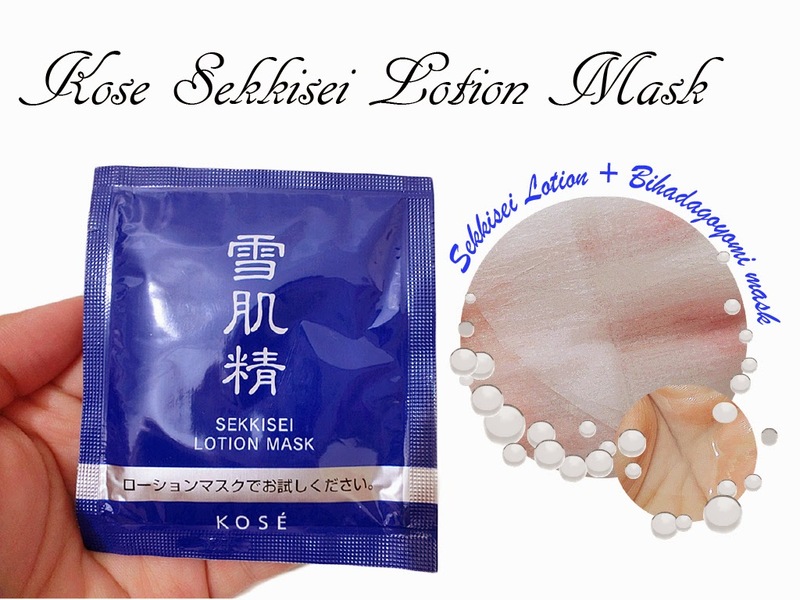 I'll be giving away 24 KOSÉ Sekkisei Lotion pocket mask to my readers! It's easy peasy that you'll just need to complete the entries below in the rafflecopter, and the first 24 readers who answer correctly and commented below will be selected as the lucky winners! 2. One of the benefit is firmness! 2. Benefit is to create fine-textured, hydrated and translucent 'snow-white' skin. Hello Amelie! Here is my answer! Hello there, my answer for 1st question is Coix Seed, Angelica and Melothria while answer for no.2 is tighten pores. 1. Coix seed, Angelica, Melothria. 2. Whitening & tighten pores. 2) Whitening & Tighten Pores. 1) Coix seed, angelica and melothria.